In fact, a great deal of the finished project photos that you see at SVGCuts.com were created using these dashed score lines. They're usually not very visible on a finished project, especially if you avoid white-core card stock. 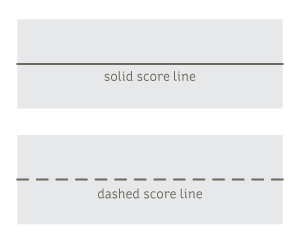 Lots of folks have fantastic results making our projects using the dashed/cut score lines. 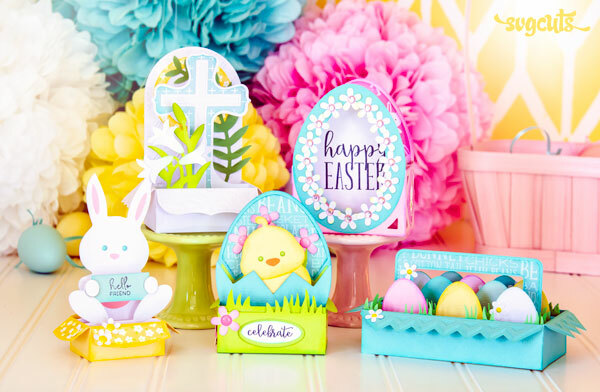 If you're a Sizzix eclips or Cricut Explore/Maker machine user, you have the ability to score with your cutting machine and can use our optional solid score lines. The eclips machine scores using its blade, and the Cricut Explore/Maker machines can score using the Cricut Scoring Stylus tool or the Cricut Scoring Wheel tool. If your machine DOES have the ability to score, you can take advantage of some of the "Extras" in your download. Here's how! 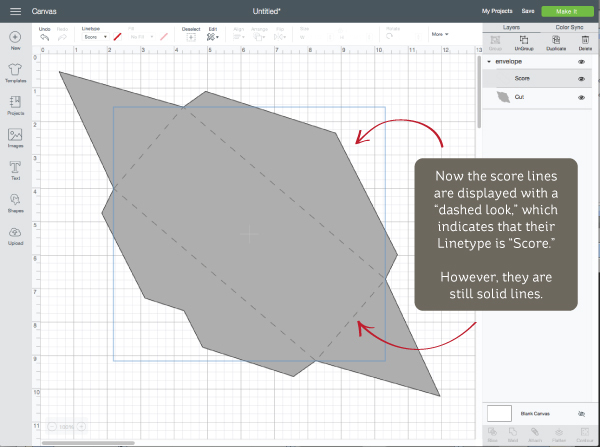 If your project from us has optional solid score lines, you can find alternative SVG files in your project's "Solid Score Lines" folder, which is in its "Extras" folder. Each file there corresponds to a file in the project's main folder, and can be used as a substitute. 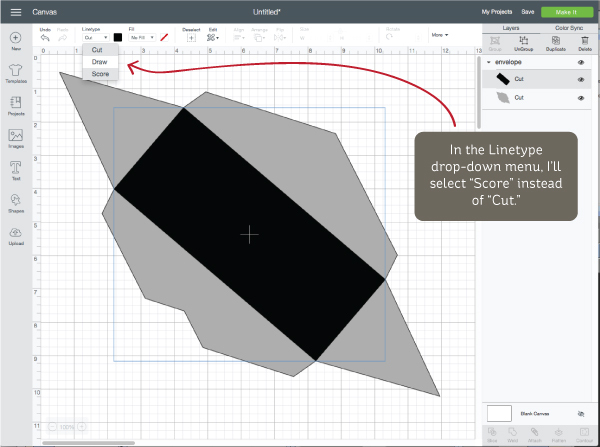 If you're using eCal by Craftedge with your Sizzix eclips machine, you can simply select an SVG file's solid score lines and change the Cut Line Type drop-down menu selection in the Style palette to "Score" instead of "Cut." 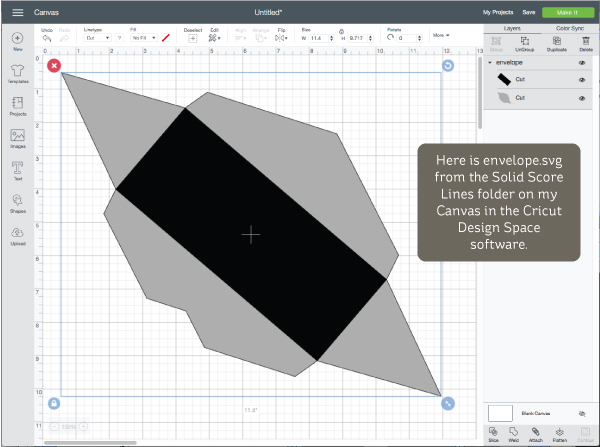 If you're using a Cricut Explore, Explore Air, Explore Air 2 or a Maker machine with the Cricut Design Space software, you can use the alternative SVG files in your project's "Solid Score Lines" folder and make the following adjustments so that the software "knows" what to do. 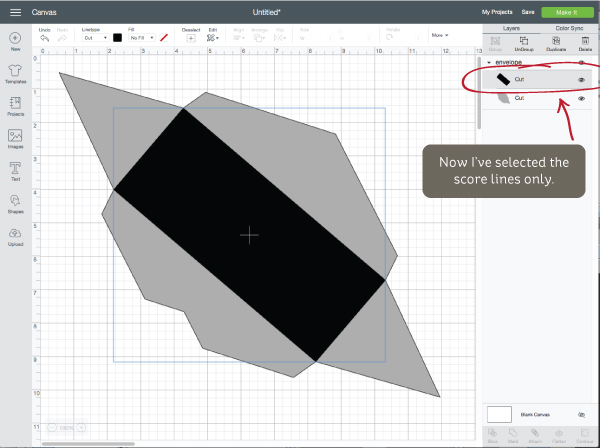 With the SVG file on your Canvas, select the score lines only. In the Linetype drop-down menu, select "Score" instead of "Cut." The score line layer now appears "dashed," but is still made up of solid lines. Next, select the whole SVG file (both of its layers) and click the "Attach" button. This lets the software "know" that you want those layers to stay "together"/layered. This step must be performed for any SVG file that contains more than one layer, such as dashed score lines, guide numbers, or other designs that need to stay "locked" onto the main shape (bottom layer). Now you can proceed to "Make It" whenever you're ready! If you're using the Cricut Design Space software, the number of SVG files you can upload/insert at a time is limited to one. Instead of taking the time to upload/insert each SVG file for your project one-by-one, you can save time by using some of the files in your project's Extras folder. These files begin with the word "entire" and contain all of the project's shapes saved as a single file. 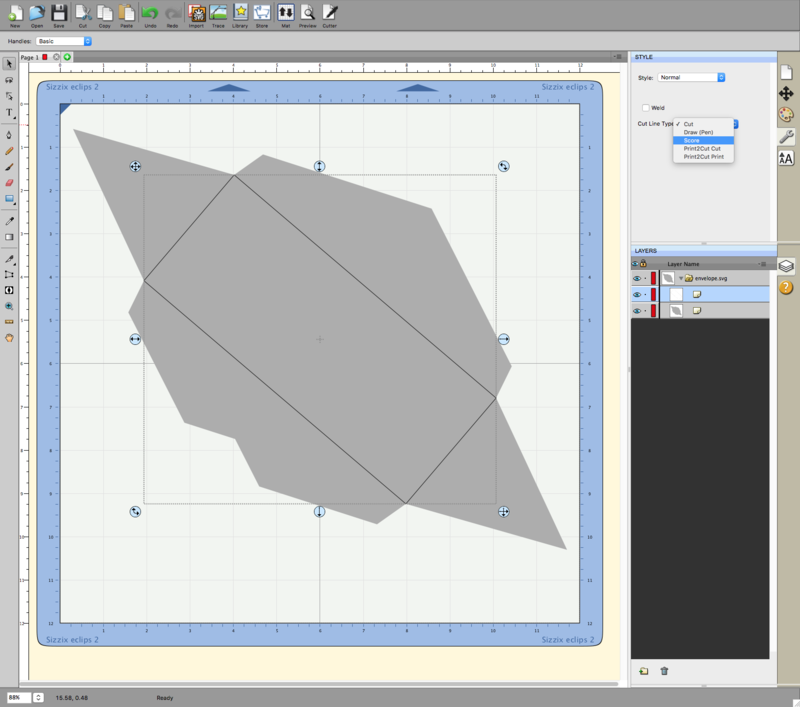 This is much easier and quicker to upload/insert into the Cricut Design Space software. 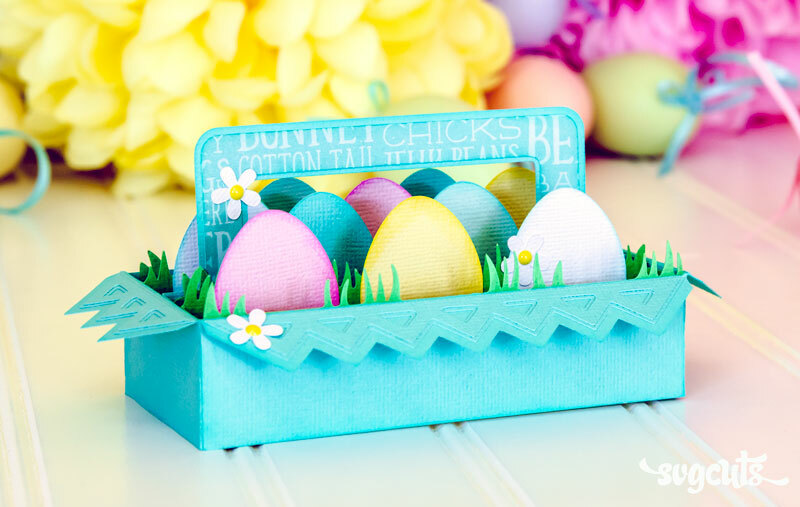 For this project, it's called, "entire_egg_carton_box_card.svg." There is also the same file, but with solid score lines, saved in the "Solid Score Lines" folder. Additionally, there are also "separated" versions included. 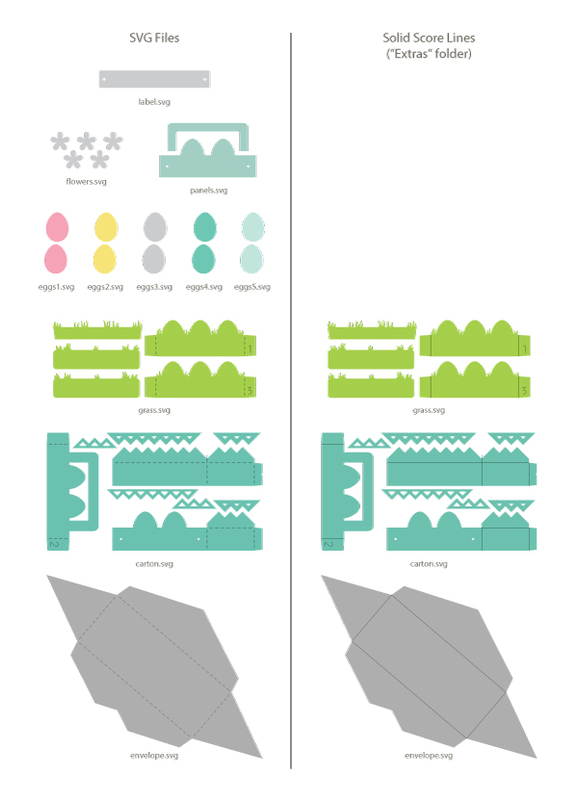 Each shape is completely separate from the other shapes in case you'd like any part of a design isolated. 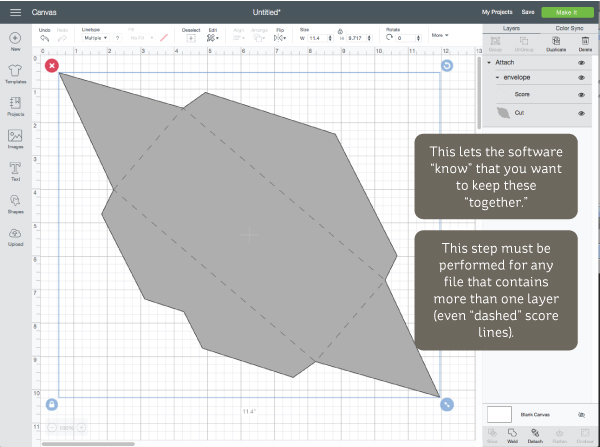 This can be handy if you want to customize your project or re-cut one part. Don't forget to check out the PDF Menu document that comes with each download from us. You can view it on your computer/tablet or print it out if you'd like. It contains extra tips, information and diagrams for each project. 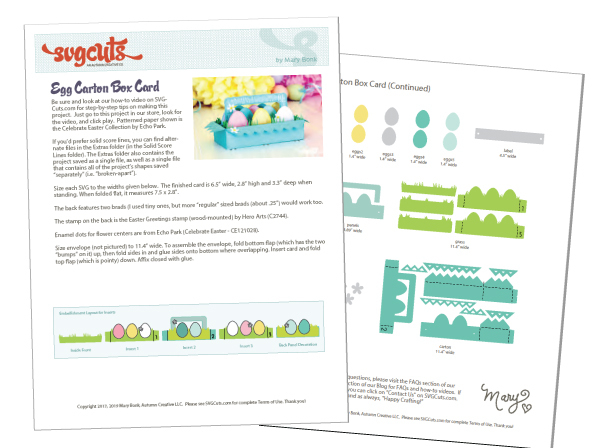 The Egg Carton Box Card project can be ordered alone, or as part of the Easter Box Cards SVG Kit, which contains four other box card projects. P.S. You can see all of our designs that feature optional solid score lines in the new "Solid Score Lines" category in our shop. Also, here's a list of items that have been updated since their original release: Updated SVG Kits.